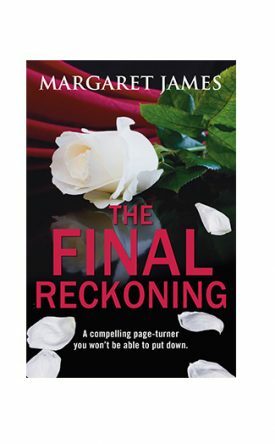 By Margaret James In Crime/Trhiller, Margaret James, and New Releases Tagged In 2019 and January. What if you had to return to the place that made you fall apart? When Lindsay Ellis was a teenager she witnessed the aftermath of a violent murder involving her lover’s father. The killer was never found. Traumatised by what she saw, Lindsay had no choice but to leave her home village of Hartley Cross and its close-knit community behind. Now, years later, she must face up to the terrible memories that still haunt her. But will confronting the past finally allow Lindsay to heal, or will her return to Hartley Cross unearth dangerous secrets and put the people she has come to care about most at risk? Margaret James was born and brought up in Hereford and now lives in Devon. She studied English at London University, and has written many short stories, articles and serials for magazines. She is the author of sixteen published novels. Her debut novel for Choc Lit, The Silver Locket, received a glowing review from the Daily Mail and reached the Top 20 Small Publishers Fiction List in November 2010 and in the same year a Reviewers’ Choice Award from Single Titles. The Golden Chain also hit the Top 20 Small Publishers Fiction List in May 2011. Margaret is a long standing contributor to Writing Magazine for which she writes the Fiction Focus column and an author interview for each issue. She’s also a creative writing tutor for the London School of Journalism. The author brings her characters to life with her clever dialog, it’s written in such a descriptive way that she paints pictures with words. I enjoyed this book so much that I didn’t want it to end. It was only the last but one chapter when I had my ‘aha’ moment of identifying the murderer, the mystery was well hidden – at least from me – until almost the end. A thoroughly engrossing read. This is a dark romance. A very engaging story from start to finish. The story starts very gently and easily and develops from there. Despite a limited number of characters the plot is never obvious and keeps you thinking all the way to the end. Lindsay and Nick are friends but the death of Lindsay’s mum changes everything. The reaction to Lindsay’s return to her childhood home is the crux of the story. To say much is to reveal too much but suffice it to say the romance that ensues is not what you are thinking about. A gripping yarn with a romance attached, a good start to your reading this year. I enjoyed this book and can happily recommend it. Lindsay’s mother has recently died, so she is returning to her home village for the first time in years to sort things out. As a teenager, she had found a body – the father of her lover at the time. Lindsay wants a good shake on occasion, but on the whole the story was interesting and involving. The ending twist was unexpected but very believable. Another Choclit/Ruby winner! Copyright © 2019 Choc Lit Limited. All rights reserved.